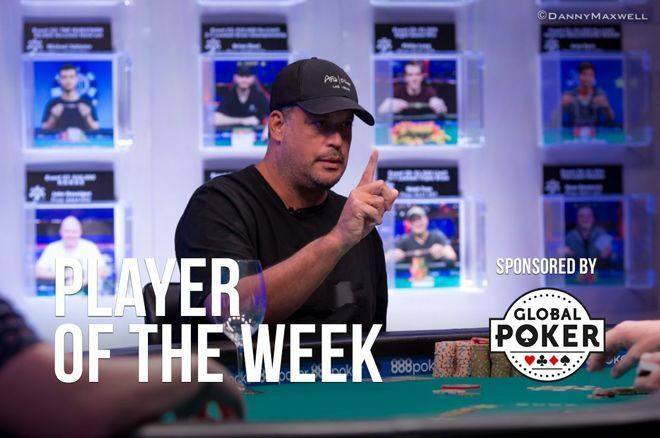 Global Poker's (@official_glp) Player of the Week: Jean-Robert Bellande wins WSOP bracelet. Jean-Robert Bellande has been around the poker world for a long time. Back in 2005, he burst onto the scene via ESPN’s broadcast of the World Series of Poker Circuit Rio $10,000 Main Event where he battled the likes of Phil Ivey, Gabriel Thaler, Jen Harman, and Doug Lee. The boisterous Bellande wound up finishing in third place for $210,900 behind Harman (2nd - $383,840) and Lee (1st - $695,970). He notched at least one cash at the WSOP each year through 2012 before cashing just twice between then and 2018, no doubt in favor of cash games at Aria. Bellande, who starred in the hit CBS show Survivor: China in 2007, has documented the ups and downs of his poker career on both Instagram and Twitter under @BrokeLivingJRB. This past week he got to deliver good news to both his fans and haters. Deeb: “I remember JRB, and everyone does, many times in his career he was down and out." Bellande had cause to celebrate as he topped a 621-entry field to win the 2018 World Series of Poker Event #58: $5,000 No-Limit Hold’em Six-Handed for $616,302 and his first gold bracelet. It was made all the sweeter as he’d previously finished runner-up in two WSOP events. JRB winning a bracelet made headlines and the pros came out in force to congratulate the man often responsible for organizing the high-stakes games at Aria. Among those to recognize him on Twitter were Dutch Boyd, Frank Kassela, and even his fellow Survivor castaway Peih-Gee Law. One player to comment to PokerNews on Bellande’s win was recent bracelet winner Shaun Deeb. Zinno: "Don’t let anyone fool you, that guy can play poker." Another pro to offer his thoughts, is bracelet winner and WPT Season 13 Player of the Year Anthony Zinno. The 2018 World Series of Poker Main Event continues today! PokerNews will be your one-stop shop for all the hands, chip counts,, photos and videos. Check the WSOP Live Updates in PokerNews' 2018 WSOP Live Reporting hub.